Quick setups and perfect impressions are achieved with Schwerdtle’s bottle tools and hot-stamping dies. Solid support and proper die clearance between the foil and the part is critical for accurate hot-stamp decorating results. Precision and high-tolerance workmanship produces the perfect hot-stamped image, and our matched tooling results in minimal adjustment and reduced setup times. 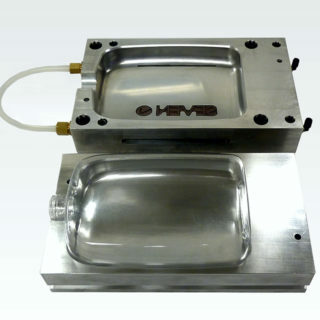 Our toolsets often include heating, cooling and suction components, the “half” size shroud (pictured above) is used in feeding the bottle into the hot-stamp shroud on the assembly line. 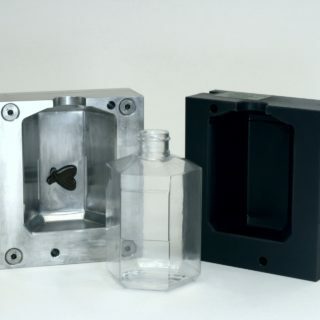 We can engineer and manufacture bottle tools for every application. A. Frame that holds the bottle tool set. B. Machine’s heating element and control. C. Two halves of the bottle tool. D. Decorating die: Typically a brass engraved die, or silicone. E. Customer’s bottle to be decorated. F. Foil path, feed and pickup. 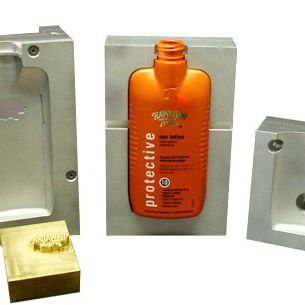 The bottles are clamped into a well-adjusted mold, the foil goes across the mold. 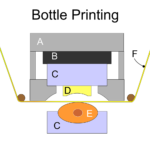 For proper printing, the foil must touch the bottle before the heated die. When the die descends, the bottle is inflated with air. 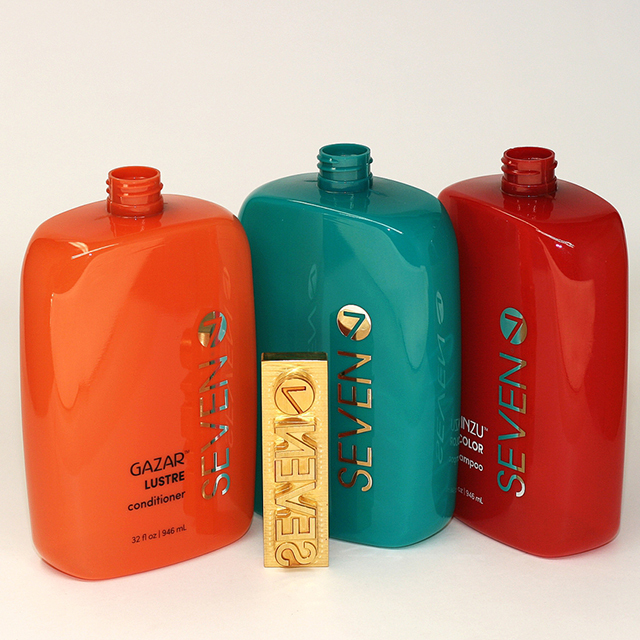 The bottle expands just enough to contact the die surface, where the foil decoration is transferred to the product. Hot stamping onto bottles is a very difficult operation. Schwerdtle has been providing critical bottle tool sets to our customers for more than 50 years.